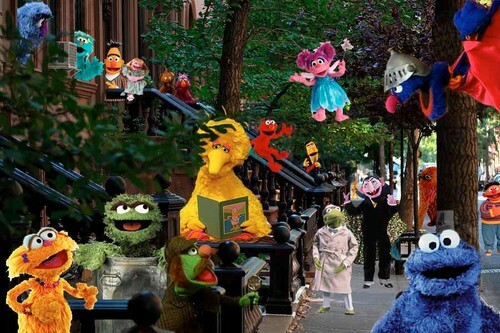 Sesame street tribute 2. Photoshop collage.. HD Wallpaper and background images in the Sesame Street club tagged: photo. This Sesame Street photo might contain bouquet, corsage, posy, and nosegay. Sesame Street: How Do You Celebrate?